Missouri earned its second road win of the season at South Carolina last night, thanks to a fantastic shooting display. The Tigers hit nearly 70% of their shots, including 6-of-9 from three-point range. “I don’t think we could have played any better offensively,” head coach Frank Haith said. Guards Keion Bell and Jabari Brown enjoyed a size advantage over the smaller starting Gamecock backcourt, enabling them to combine for 47 points. Phil Pressey (one game after scoring 27 against Kentucky) didn’t attempt a single shot, opting instead to serve as a pure play-maker, finishing with nine assists. Missouri will head home for a two-game stretch before traveling to Tennessee for its regular season finale. After suffering its first three losses of its SEC schedule, the air of invincibility has vanished from Florida. Don’t be too quick to remove them from your list of title contenders, though, as the Gators are finally getting healthy. Billy Donovan announced Thursday that both Will Yeguete and Michael Frazier II have been cleared for this weekend’s game against Alabama. “Our guys that have been through the grind of most of the last month or so, they can’t rest and relax,” Donovan said. “They’ve got to understand that they’ve got to step up and they’ve got to play and they cannot take the approach of, ‘Well, we’re a little bit deeper. We have more guys available.’ Because I just don’t know if Frazier and/or Yeguete are going to be really able to be able to really provide some significant minutes for us.” Frazier missed only one game, but Yeguete has been sidelined since February 5, during which Florida desperately missed his rebounding ability, only out-boarding its opponent in two of six games. With the Gators finally having the luxury of a full squad, their biggest worry this Saturday will be Alabama guard Trevor Releford. The junior guard from Kansas City has been a revelation for the Tide this season, earning him quite a bit of praise. “I see a lot more confidence in his shot,” said LJ Goolsby, Releford’s AAU coach. “That’s been evident the last couple of games, most importantly. The bigger the game, the better he is a lot of times. That speaks volumes about his competitiveness. Competitors want the biggest challenges. They accept it and embrace it.” With the departures of JaMychal Green and Tony Mitchell, the position of #1 scoring option was up for grabs in Tuscaloosa this season, and Releford has locked it down. He’s been especially hot recently (including a career high 36 points against LSU), and will have to be at his best to upset the Gators in Gainesville. Kentucky fans were treated to a night of celebration on Wednesday. The Wildcats easily dispatched Mississippi State, as expected, but the real draw was the 1996 team’s return to Rupp Arena. With stars like Antoine Walker, Tony Delk, and Walter McCarty all in attendance, coach John Calipari will hope uber-recruit Andrew Wiggins, who was taking his official visit to the Lexington campus, was impressed by the tradition. The Bulldogs were a bit of a break for the Wildcats, whose NCAA Tournament hopes will be put to the test when they travel to Arkansas (undefeated at home in SEC play) on Saturday. Shot-blocking extraordinaire Nerlens Noel won’t be patrolling the paint for Kentucky again this season. On Wednesday, an MRI revealed a torn ACL, confirming what everyone assumed after seeing the freshman center crumble to the ground and scream in pain after a great hustle play Tuesday night in Gainesville. “I’ve been coaching for 22 years and this is the first injury we’ve had of this kind during the season, which makes it even more devastating,” head coach John Calipari said. Despite the impending long rehabilitation process, Noel remains in good spirits, calling the injury “a minor setback for a MAJOR comeback” from his Twitter account. Questions about how Noel’s injury would affect his draft stock popped up even before the MRI. Noel was a sure-fire top five NBA Draft pick (and one of the few contenders to go first overall) before this setback, and SI‘s Michael Rosenberg believes that’s still the case. “Guys who are going to be top five picks tend to leave, and Noel will still go that high,” Rosenberg writes. “The only difference is that he might need crutches to walk over and shake David Stern’s hand.” I remain bullish on his draft stock. The injury brings up comparisons to Greg Oden, but it shouldn’t. Noel’s slight lower frame certainly didn’t do him any favors, but one awkward landing into the basket support shouldn’t indicate that he’s in for the same type of chronic knee problems as Oden. He still projects as the top defensive big man in the draft, and if a team like Cleveland or Orlando in need of a rim protector wins the lottery, don’t be surprised to see Noel follow in Anthony Davis’ footsteps as the top overall pick. So where does Kentucky go from here? (Insert super original NIT joke). “It’s not a question of, how do we replace Nerlens?” Jay Bilas said Wednesday. “It’s, how do we adapt to what we have?” The Wildcats’ remaining strengths aren’t immediately clear. Lost in the Noel commotion is the fact that the Wildcats didn’t belong on the floor with Florida. Outside of a bright opening few minutes, Kentucky’s ball-handlers looked incapable of dealing with the Gators’ full-court pressure. Even when they broke through, the UK offense lacked composure and creativity. Noel was never the focal point when Kentucky had the ball, but without their dominant defensive presence, the Wildcats need to make up some of that lost value on the offensive end. Willie Cauley-Stein isn’t too dissimilar to Noel in his playing style and should see his minutes increase drastically. Casey Prather has been little more than an energy guy during his time in Gainesville, but with his improved play in the absence of Will Yeguete, he’s showing that he can be much more valuable. Against Kentucky, the junior tallied 12 points, three boards, two blocks, and three charges drawn (of course, few players make drawing charges as easy as Archie Goodwin does). “I would just say I was trying to give the team a big boost, a big energy boost, and so I was just glad to help the team out any way I could,” says Prather, spoken like a true energy guy. The 6’6″ swingman can guard multiple positions, affording Florida flexibility in its defensive assignments, and rebounds well for his size. Yeguete could return for the postseason, but he may find minutes tough to come by if Prather continues to excel. Missouri finally earned its first road win of the season, and did so in emphatic fashion. Keion Bell tied a career-high with 24 points to lead the Tigers to a 78-36 win over Mississippi State. “I think Keion in the last four, five ball games has been outstanding,” coach Frank Haith said in a radio interview after the game. “We love to see him coming along because it gives him a chance to spell (Pressey) more.” Phil Pressey, who has struggled to score efficiently this season, was back in true point guard mode, taking only one shot (which he made) and adding eight assists. The junior would be wise to commit to this style. 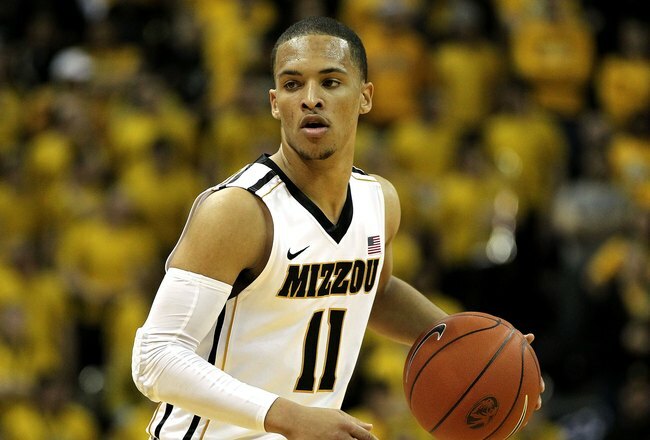 He’s averaging 14.5 shots per game in losses, while only putting up 10 per game in Missouri’s 18 wins. Ole Miss‘ win over Arkansas gives the Rebels a 4-0 beginning to SEC play marking its best conference start since the 1936-37 season. That’s 76 years since the Rebels have began this well in league games. It may feel like it’s been about the same length of time since Andy Kennedy’s club has been to an NCAA Tournament (never under Kennedy; the last time was 2002), and the Rebels are hoping to break that streak too. And while they’re at it, they may even try to break into the Top 25 rankings, a faraway land that Ole Miss hasn’t seen since 2001. The players sense that something special is brewing in Oxford as well. “Anybody can see it,” said senior Nick Williams. “It’s been a long time since we’ve been able to do something great here, and we understand what we need to do because me, Murphy (Holloway) and Reg (Buckner) — we have been here for a while and we’ve been so close for so long.” Could this finally be the year that Ole Miss breaks through? Florida’s 83-52 thrashing of Missouri on Saturday led to a number of questions. Is Florida that good? Yes, especially at home. Is Missouri that bad? I really hope not. Does Laurence Bowers really make that much of a difference? No. But it’s undeniable that the Tigers are on a downward spiral. They’ve lost two of their last three games, and dropped three of their last six. To make matters worse, guard Keion Bell adds that Missouri simply wasn’t prepared. “I just think that we, as a team, we underestimated the amount of pressure that their full-court press would put on us,” Bell said. “Although the coaching staff has embedded it in our brains throughout the whole week, we just didn’t take heed to the things that they were saying about Florida’s pressure, and we weren’t ready at the beginning of the game.” Missouri needs to regroup before things get worse, and perhaps listen to the coaching staff during its preparation. A softer upcoming schedule of South Carolina, Vanderbilt, at LSU, and Auburn should help. It was a homecoming of sorts for Mississippi State Bulldog Jalen Steele, who always dreamed of playing in Thompson-Boling Arena. Steele grew up in Knoxville as a Tennessee Mr. Basketball, but then-Volunteers head coach Bruce Pearl went for two recruits you may have heard of instead — Aaron Craft and Josh Selby. Even though his basketball career didn’t work out exactly as planned, Steele finally heard his name called in Thompson-Boling Arena on Saturday. “To hear my name called and it said ‘Knoxville,’ that felt good,” Steele said. Steele showed he was good enough to play with the Vols too, as he added 15 points in a losing effort for the Bulldogs. I imagine it was a surreal moment, even in defeat, for a player who has been through a lot in Starkville. When you’re playing as well as Florida is right now, four points probably won’t matter, but it might one day. Gators center Patric Young isn’t satisfied with his free throw shooting after a 4-of-8 performance against LSU. 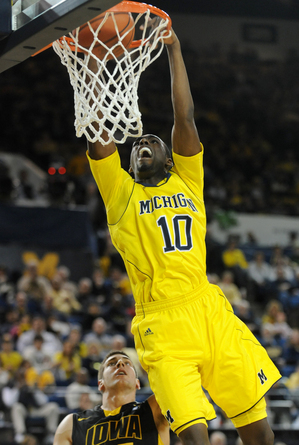 “It’s huge because I’m leaving points on the board whenever you miss free throws,” Young said. “You go 4 for 8, that’s four points that help you with your draft stock or your average on the year. I mean, it doesn’t really matter but when it comes down to the line in a game-winning situation, you need to be able to step up with confidence.” For the sake of his draft stock, Young hit the practice courts to shoot 500 free throws a day, and the hard work is paying off. He entered the Texas A&M game shooting 50 percent from the line, but went 4-of-5 against the Aggies and 1-of-1 against Missouri. Kentucky has struggled against quality teams this season, but John Calipari’s Wildcats have a surplus of NBA talent on the roster. However, during an ESPNU telecast of the Kentucky vs. Auburn game on Saturday night, Charles Barkley said none of the current Wildcats were ready for the NBA. “John Calipari’s a friend of mine. I love him as a friend. There ain’t one player on this Kentucky team who should go pro early. I hate the one-and-done rule in college basketball. Just ’cause there’s a rule does not mean you have to do it. Listen, Anthony Davis played well enough for him to go pro. … I wish some of these parents would talk to their kids.” Though Cal’s younger Cats will excel in the pro game one day, Chuck has a point for the here and now. Archie Goodwin is probably the most pro-ready of the three freshman Wildcats most likely to be selected in the first round. Nerlens Noel is ready defensively, but his offensive game has a ways to go. But Alex Poythress is the biggest question mark in terms of making the jump. He has tendencies to disappear for long stretches offensively, and did you see his defense on Elston Turner? The issue is not just directed towards Kentucky’s freshmen but the entire college game. The one-and-done mentality has watered down the talent level, enabling and pushing players like Noel and Poythress who could both benefit from an extra year of development to make the jump after just one year. Alabama will be without two key contributors when the Crimson Tide take the court Wednesday night against Dayton. Junior center Carl Engstrom is sidelined after injuring his knee early in Saturday’s game at Cincinnati, while senior guard Andrew Steele, suffering from a possible sports hernia, will miss his third straight game. The loss of Engstrom is more important in the short term. In Josh Benson and Devin Oliver, the Flyers have two post players who are averaging over 10 points per game, and the loss of the big Swede depletes an already thin Alabama frontcourt. Fortunately, after their date with Dayton, Anthony Grant’s crew has 10 days before they take the court again, a convenient opportunity to get healthier. The inept offense of the Georgia Bulldogs, mentioned in yesterday’s M5, did little to dispel their reputation in Tuesday night’s 62-52 loss to rival Georgia Tech. The visiting Bulldogs went a woeful 18-of-57 from the field, including only 2-of-17 from beyond the arc. Kentavious Caldwell-Pope again led the way with 16 points, but it’s tough to believe that, despite the lack of options around him, the sophomore guard is making the right decision in throwing up shots from long distance all night. He went just 1-of-8 against the Yellow Jackets, and is averaging only three three-pointers per game on almost nine attempts. The one-man show strategy hasn’t paid dividends yet, and for a coach in the hot seat like Mark Fox, it may be time to try a new approach. Missouri guard Keion Bell knows what it’s like to be a one-man show, but the Pepperdine transfer is leaving those days behind him. He racked up 1,365 points with the Waves in three seasons, but decided to transfer in hopes of finding more team-oriented success. “I knew my scoring was going to take a hit when I transferred, but it’s something I wanted to happen,” Bell told the St. Louis Dispatch. “I was at a university where I had to take a scoring role and it didn’t work out so well. Sacrificing to win is one thing I looked at with (Mizzou).” There were concerns over whether Bell could drop the gunner’s mentality after years of being the offense’s focal point, but early returns are positive. Bell’s most valuable skill is his ability to get to the free throw line. He’s only sixth on the team in minutes played, but ranks second with 24 free-throw attempts (of which he’s made 23). Michael Anderson, Arkansas‘ video coordinator and son of head coach Mike Anderson, has been suspended indefinitely after a DWI arrest. He was booked in Fayetteville Sunday morning after he failed a field sobriety test and refused to take a breathalyzer test. This is Anderson’s third DWI arrest, including one earlier this year, but there is no indication that the younger Anderson will be let go. Hopefully, this latest incident will be a successful wake-up call, as Razorback fans have had more than their fair share of their coaches getting in trouble behind the wheel. Boom! Bobby Petrino slam! In related-but-unrelated news, best of luck to new Hogs football coach Bret Bielema. What Now For Missouri Without Michael Dixon? Frank Haith, Missouri’s current coach, is not implicated in the situation, but current Arkansas coach and former Tiger Mike Anderson can’t say the same. Reportedly, Dixon’s initial accuser met with Anderson after the first incident [as he refers to in his freshman year], and though the coach didn’t pressure her to sit on her story, questions have to be asked about his treatment of Dixon in the aftermath. Anderson, through a Razorbacks spokesman, declined comment. Dixon was the college basketball equivalent of James Harden for Missouri last season. On a team that featured four guards in the starting lineup, he was the best bench scoring option in the nation. The Kansas City product averaged 13.5 points and 3.3 assists per game, while shooting almost 49% from the field. In addition, he showed an outstanding ability to get to the free throw line, averaging almost four free throws per game and converting them at an 88% clip. The Battle 4 Atlantis and the NIT Tip-Off continue over the weekend with some very interesting match-ups. So grab some Thanksgiving left overs and settle in for some good hoops. Both Michigan and Kansas State. are coming off tough semifinal wins in the NIT Tip-Off. Michigan was able to pull out a victory with strong second-half defense in the 1-3-1 zone and great defensive rebounding. While the Wolverines are not going to win many games going 3-17 from three-point land, it is encouraging to see them win with their defense, particularly because Kansas State brings a strong defense into any game. The Wildcats are only allowing teams to shoot 27.4% from downtown and are creating turnovers on 28% of opponents possessions. K-State also had eight players go double-figure minutes against Delaware while the Wolverines only had six players go into double-figure minutes against Pitt. The Wolverines could get tired in the second half due to K-State’s physical play if they do not get more minutes from the bench. KSU is going to have to improve its shooting significantly if they want to walk away with a big win. They’ve shot 41.5% eFG against Delaware and 44.8% eFG through five games this season. The Wildcats need to shoot over 50% eFG to have a chance at winning this one. While Cincinnati and Iowa State have two common opponents already, Campbell and North Carolina A&T, its tough to glean any significant information from the games because both were blowouts. The Bearcats come into the game with an adjusted defensive efficiency of 88.4, which is good for 11th in the nation. They are cleaning up on the defensive boards and shutting down two-point shooting. ISU is ranked 16th in the country in two-point shooting, hitting 56.9% of their shots inside the arc thus far. Keep a close eye on who wins the battle in the paint, as it should determine the winner of this one. Point guard is widely considered the biggest question mark in Kentucky’s title defense, and Wildcat fans were hoping to see new floor general Ryan Harrow satisfy the skeptics with a strong debut against Maryland. However, with the NC State transfer battling flu-like symptoms, it wasn’t to be. Instead, Jarrod Polson provided fans with a performance that won’t soon be forgotten. The former walk-on played 22 minutes (by far a career-high), scored 10 points on 4-5 shooting, and coolly sank two clinching free throws in the dying seconds. Why was a complete unknown able to have such an impact? Practice. “One of the overlooked benefits to all those No. 1 recruiting classes Calipari reels in year after year is the daily competition,” writes John Clay, “where terrific players and accomplished athletes go head to head as a matter of routine.” In Brandon Knight, Marquis Teague, and Harrow, Polson has faced a murderer’s row of opposing ball handlers in his three years of practice in Lexington. With competition like that, Maryland’s Pe’shon Howard couldn’t possibly be a problem. When Rick Ray was hired to replace coach Rick Stansbury at Mississippi State, he wasn’t only responsible for retooling a basketball team. He was charged with rebuilding a program’s reputation. They’ve had plenty of talent over the last few seasons, but the Bulldogs couldn’t shake the dreaded “underachiever” label. Off the court issues plagued the team as well, with Renardo Sidney’s countless shenanigans the most notable. Fortunately, Ray isn’t seeing any lingering signs of questionable character in his players. “The biggest thing I’m happy about with the team so far is they are giving the effort,” Ray told Starkville Daily News, “That is one thing I have not had to coach here so far.” That effort may be all Ray can count on from a team that returns very little talent and boasts very little depth. These deficiencies were exposed in a 56-53 defeat to Sun Belt also-ran Troy (the SEC’s only opening weekend loss). Ray is optimistic about what he sees from his squad, but consider it a surprise if the Bulldogs aren’t sitting in the SEC cellar by the end of the season. Tennessee wins the award for most misleading score of the weekend. The nine-point margin doesn’t inspire much confidence when the opponent is Kennesaw State (3-28 last season), but the Volunteers were predictably dominant in their season opener. “You have to take pride in dominating teams when you have the opportunity,” coach Cuonzo Martin said after the game. Tennessee held a 25-point lead midway through the second half, before mental slippage (Martin’s term, not mine) allowed the Owls to chip away at the lead. The Volunteers put on a clinic for their Atlantic Sun opponent, shooting over 60% from the field and hitting 58% from long range. Usual high scoring and rebounding forward Jarnell Stokes displayed his versatility by tallying five assists and five steals, both career highs. Tennessee heads to Puerto Rico next, and with possible matchups against Oklahoma State and NC State in the Caribbean, mental slippage will have to be avoided. Missouri will need Michael Dixon to compete with the elite in the SEC, but his indefinite suspension for the Tigers’ 83-69 win over SIU-Edwardsville gave coach Frank Haith quite a bit of freedom to see his backcourt newcomers in action. Dixon and point guard Phil Pressey have unquestioned starting positions, but with no other returnees, developing chemistry and finding the right rotation is paramount for Missouri. Transfers Earnest Ross and Keion Bell joined the starting five, but in going 2-for-10 and 3-for-8 from the field, respectively, neither impressed. Canadian freshman Negus Webster-Chan made a case for more playing time, however, displaying a nice shooting stroke and active hands on the defensive end. Remember those god-awful camouflage uniforms that North Carolina and Michigan State wore last season during the Carrier Classic game? Yes, the ones that gave you the second worst headache of your life after the Baylor highlighter yellow unis? Well, Florida has leaked its version to be worn on November 9 against Georgetown in the second Carrier Classic in Jacksonville, Florida. When Alligator Army reached out to a Florida spokesperson, they commented that the leaked version of orange camo are “an early rendering of the uniform concept. The final look may vary from that photo.” While we prefer to focus on basketball, the early uniform watch can be fun for one reason — to spark some good ole’ fashioned debate. So, RTC community, what do you say about the orange camouflage that Florida will wear for its Carrier Classic matchup? Like? Dislike? Don’t care? Not much of significance can be extrapolated from a 91-58 exhibition beatdown, but that won’t stop us from trying. The blog site for KBIA 91.3 FM in Missouri liked what they saw from guards Earnest Ross and Keion Bell in their Tiger debut. We talked about Ross’ lights-out shooting in the Halloween edition of the SEC M5, but Bell’s impact was equally as impressive, as the athletic guard scored 20 points in 29 minutes of play. KBIA brings up an interesting question of whether Bell could be an effective backup point guard to spell Phil Pressey for brief periods this year. In his three seasons at Pepperdine before transferring to Mizzou, Bell was among the nation’s leaders in turnovers, ranking as high as fourth in the nation in turnovers per game in 2010-11. He dished out just one assist with three turnovers against Northwest Missouri State. Many believed former Connecticut forward Alex Oriakhi might still be with the Huskies if not for a postseason ban, but Oriakhi says that is not the case. “I would have still left,” Oriakhi said. It seems that Oriakhi was seeking a level of happiness that he has found with his new teammates and coaching staff at Missouri. “The chemistry is unbelievable,” he went on to say. “Everybody has a general liking for each other. Anytime I walk into the locker room, it’s just straight jokes. I can’t wait to get in there. The relationship with the coaching staff, I’ve never had that type of relationship before. It’s honestly a joy to come in here and work every day.” Missouri fans have to like the sound of that. Oriakhi obviously can be a tremendous asset for Frank Haith and the Tigers, but his statistics took a dip in the year after winning a national championship after averaging 9.6 points and 8.7 rebounds per game in his sophomore year with the Huskies. Perhaps his satisfaction played a role in that, and his new surroundings could mean Missouri will get him at his full potential. The Auburn Villager sees Auburn basketball in a position that it hasn’t been in before and may never be in again. As the post points out, “basketball is in a position — however ultimately unfortunate for Auburn fans as a whole — that it doesn’t always find itself in on the Plains. Basketball could provide a reprieve from all the losing and one-step-forward, entire-mudslides-back that have occurred so far on the football field.” Gene Chizik’s squad is in unfamiliar territory, trudging along with an 0-6 conference record and a 1-7 mark overall. Meanwhile, hope is high for Tony Barbee and the basketball team. Auburn put up 108 points in its first exhibition game by showcasing a much improved offense, and with an area normally captivated and concerned only with football, this is a great opportunity for the basketball team to seize some momentum going forward. Florida’s Billy Donovan has some concerns heading into the start of the season. In the Gators’ scrimmage last weekend against Rollins College, Donovan thought rebounding was a major issue for his team. “Because it was Rollins and clearly we had a size advantage for us in the scrimmage, we outrebounded them by a large margin,” Donovan said. “But I still didn’t think we rebounded the ball well in the game.” Currently, Donovan plans to go with a three-guard lineup becauase his roster is thin in the frontcourt. Look for Donovan to find ways to keep forward Will Yeguete on the floor. While Erik Murphy is likely to gain the nod in the starting lineup because of his offensive efficiency, Yeguete is the far better rebounder of the two forwards at 6.3 rebounds per game last season. Go back to March 2011: Missouri, after just sneaking into the field of 68, had just been trounced by Cincinnati, capping off an unremarkable season in unremarkable fashion. The Tiger faithful may have had more ambitious goals entering the year, but they could hardly complain. Their team had recovered admirably from the calamitous Quin Snyder reign and were establishing themselves as a secondary Big 12 power. Head coach Mike Anderson demanded relentless defensive intensity and valued athleticism, ensuring a brand of exciting basketball that didn’t always accompany wins. If that wasn’t enough, after Arkansas came calling, Anderson soundly denied rumors that he would jump ship, claiming instead that he intended to retire in Columbia. Armed with a committed coach and a roster bursting at the seams with returning talent, Missouri was in position to challenge longtime rival Kansas and rising Baylor for conference supremacy. What followed made for one of the most compelling storylines of last college basketball season. Anderson took the job in Fayetteville and Missouri was left scrambling for a replacement. 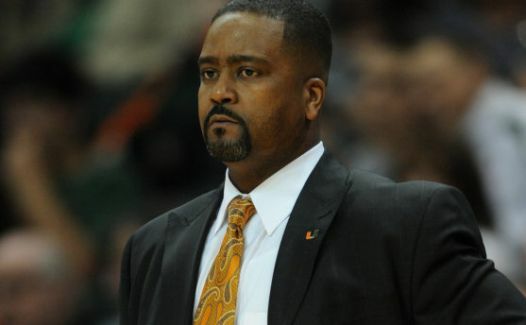 After being rejected by their first few choices, the administration hired Miami’s Frank Haith, a decision which was met with a resounding “Huh?” Haith’s record with the Hurricanes (a .384 ACC winning percentage and one NCAA tournament appearance in seven seasons) would have made you think he was more likely to get the can than an offer to move to a superior program. Shortly thereafter, the college basketball gods rubbed a little salt in Missouri’s wound, as Haith was implicated in the Nevin Shapiro scandal, leading some fans and members of the media to call for a suspension. Add in a season-ending injury to forward Laurence Bowers, and the relatively high expectations for Tiger basketball plummeted. Unless you’re a newcomer to college basketball (in which case, welcome), you know how the story ends. Missouri rode a 14-0 start to a Big 12 Tournament title and a #2 seed in the NCAA Tournament. The guard-heavy offense flourished in Haith’s system, finishing as the most efficient in the nation. Its first-round shocker against Norfolk State notwithstanding, Missouri can reflect fondly on the 2011-12 season.